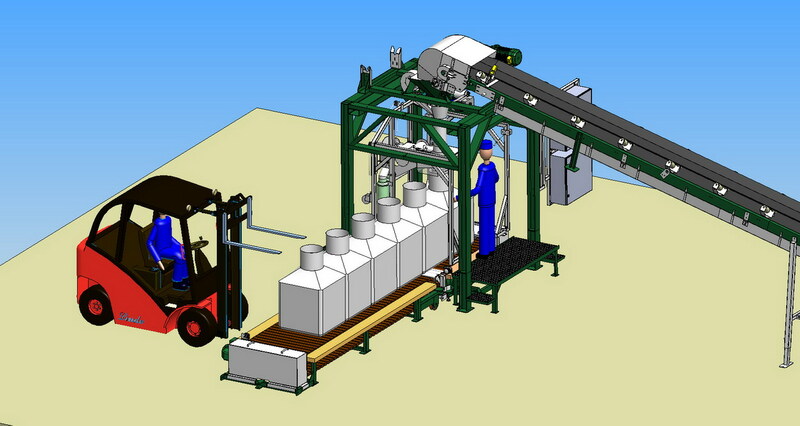 Capacity of 0-20 tons per hour. 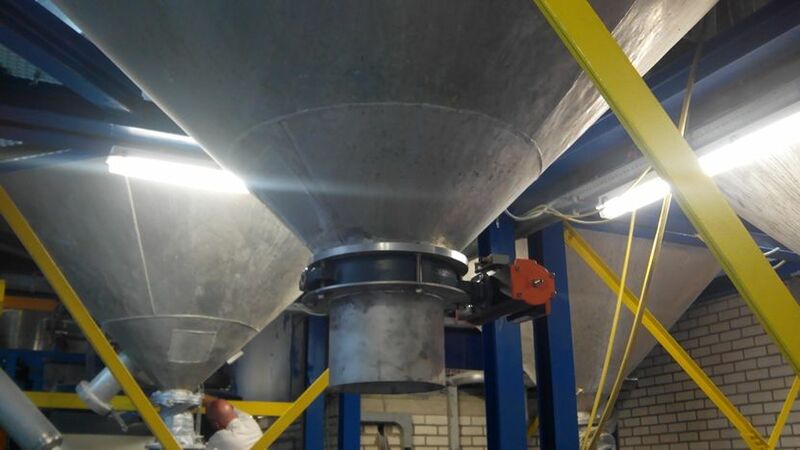 All parts touching the fertilizer are made out of stainless steel. All bolts and nuts are made out of stainless steel 304. All mild steel parts are painted with a 2 component primer and two components Epoxy coating. 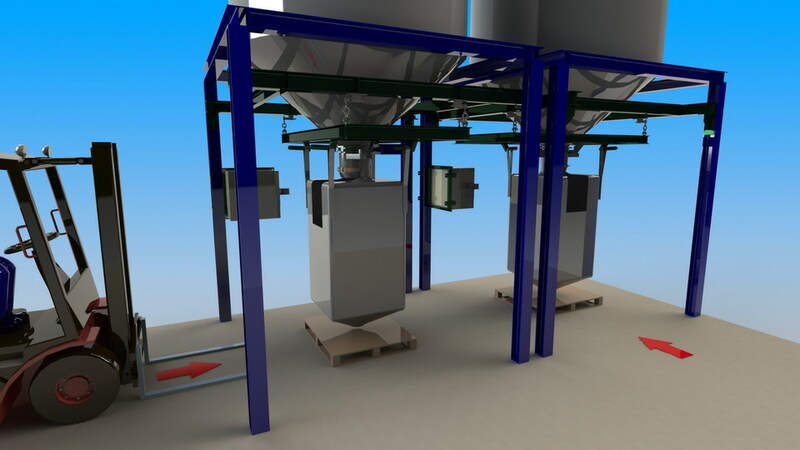 A dosing valve is directly placed under an existing silo. This valve automatically doses with a coarse and a fine flow. 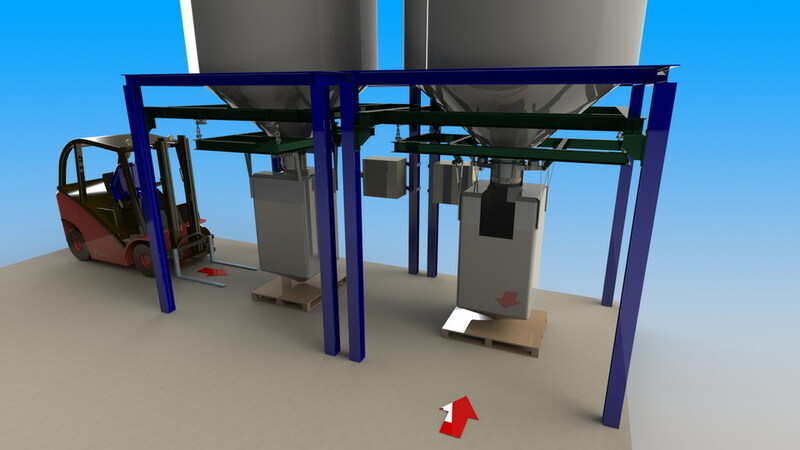 The whole system works with pneumatic stainless steel cylinders. Below the valve a stainless steel pipe which fits in a big bag mouth guides the fertilizer flow into the big bag. The whole unit is operating with 24-Volt DC power. 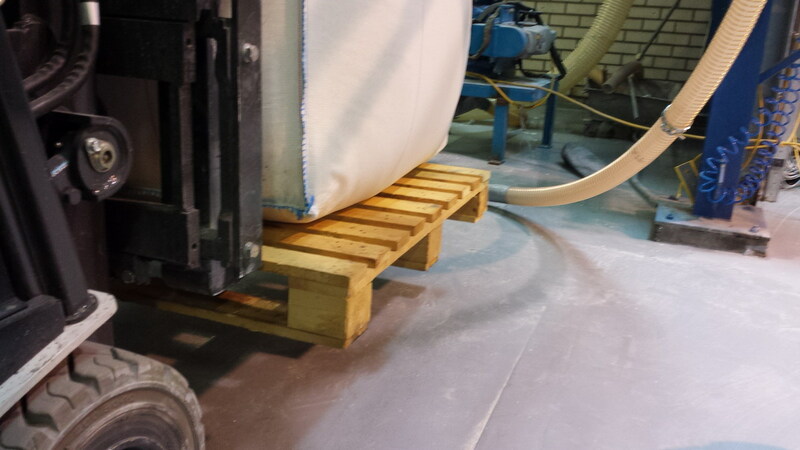 This machine is the same as the Big Bag 4 Loops and Pallet but the weighing is different. 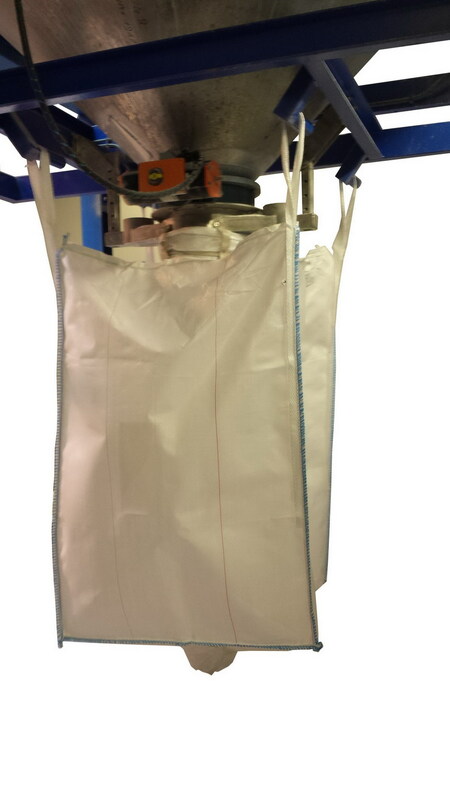 The big bag is hanging on a weigh scale which is equipped with hooks that keep the big bag in place. 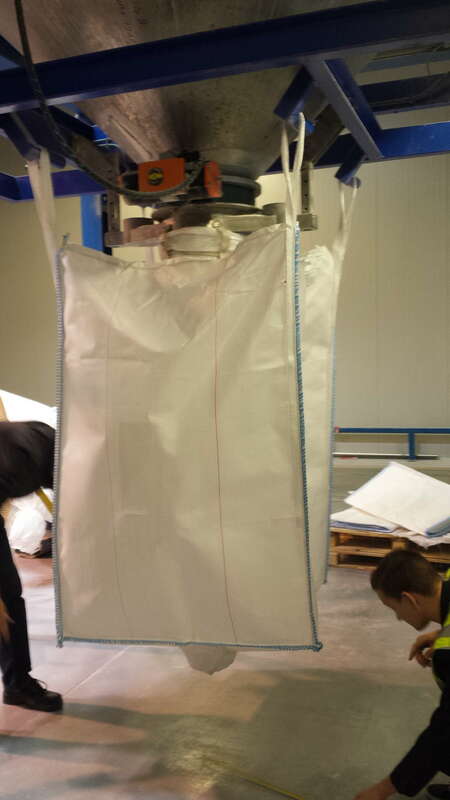 Weighing is done above the big bag through load cells and a Penko Indicator. 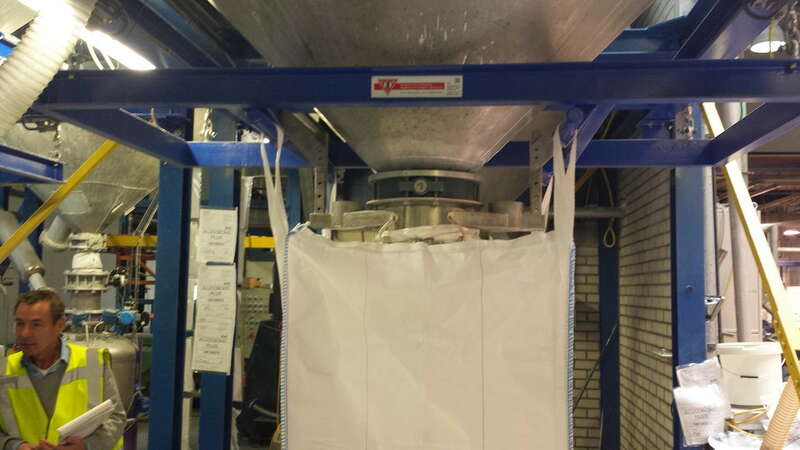 The filling bag hangs in the weighframe. 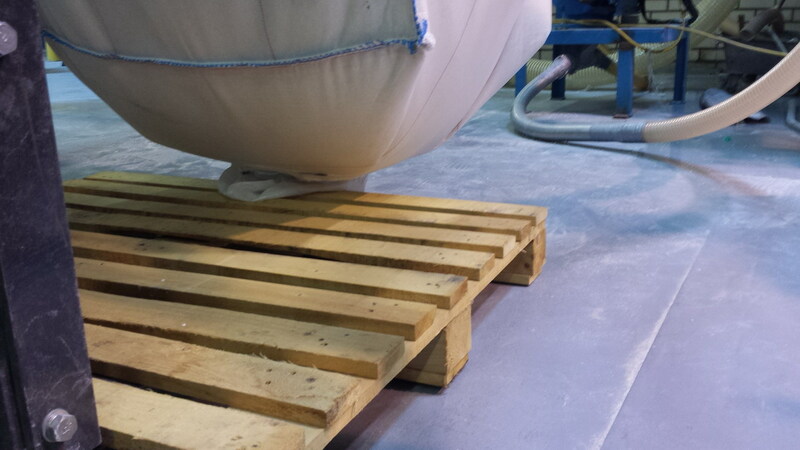 This system has a capacity of 0-40 tons per hour for 1000 kg big bags when the bag is transported on a pallet. 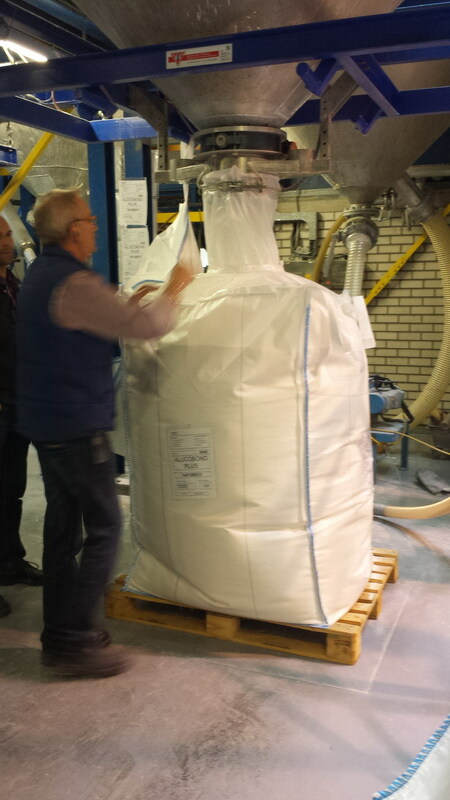 With bags of 500 kg the maximum capacity is 20 tons, or 40 bags per hour. 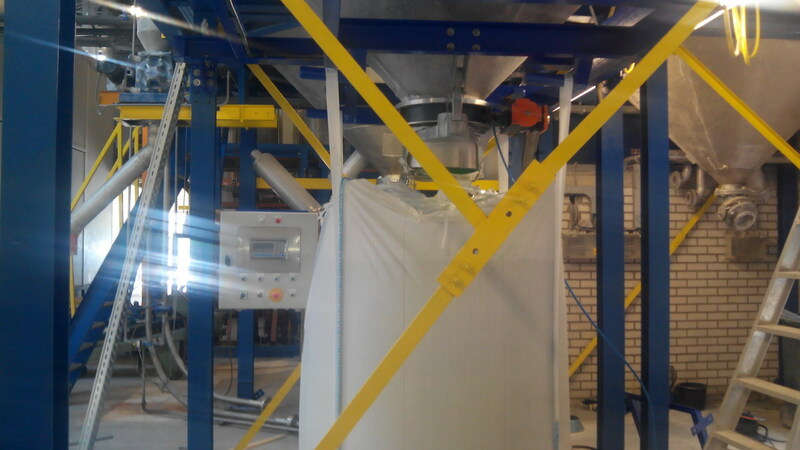 The capacity depends on the quality of the product and the operators.